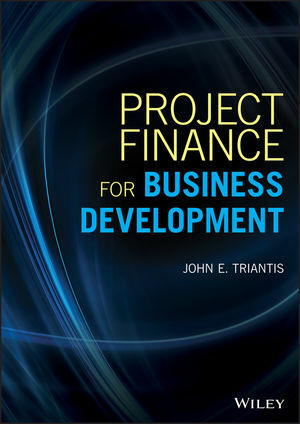 Project Finance for Business Development helps readers understand how to develop a competitive advantage through project finance. Most importantly, it shows how different elements of project finance, such as opportunity screening and evaluation, project development, risk management, and due diligence come together to structure viable and financeable projects—which are crucial pieces missing from the current literature. Eliminating misconceptions about what is really important for successful project financings, this book shows you how to develop, structure, and implement projects successfully by creating competitive advantage. By shedding light on project finance failures, it also helps you avoid failures of your own. Helping readers develop, structure, and implement projects successfully by creating competitive advantage, this book is a useful tool for project sponsors and developers, helping them structure and implement projects by creating competitive advantage. JOHN E. TRIANTIS is a retired business consulting economist and former Managing Director of Long Range Planning Associates. He has been a business strategist and strategic decision advisor with a track record of introducing effective processes and practices to strategic project decision making, as well as an experienced business development project leader and a trusted advisor in large investment, international infrastructure financing, and organizational restructuring projects.